Don't miss this opportunity to own a slice of Hatteras Island. 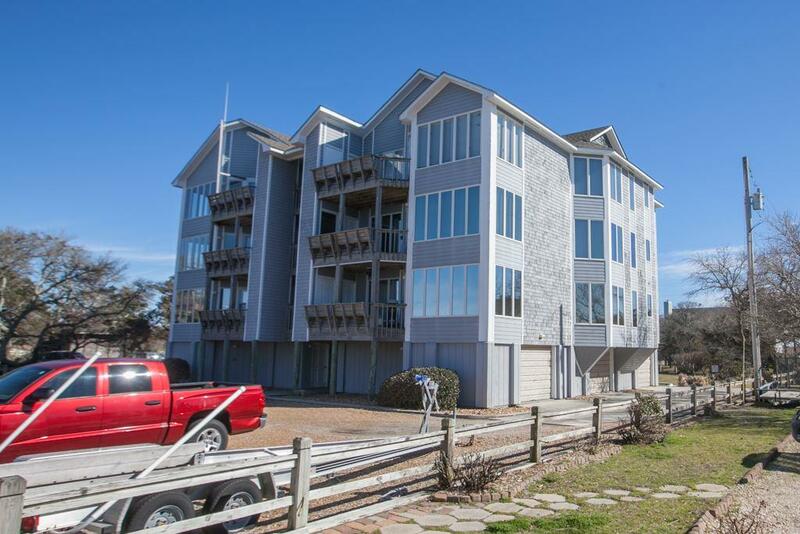 Nestled in quaint Hatteras Village, this 3-bedroom, 2-bathroom condominium offers expansive sound views and endless sunsets. Features of this first-floor unit include semi-open kitchen with ample bar seating, attached wet bar, full-sized dining room, and master bath with jet tub. The sound offers a luxurious backdrop to both living and dining room. This unit's sale comes with a roughly 50' long boat slip. The slip has a boat life already installed as well. Sip your morning coffee on the covered deck that overlooks the canal and boat slip, and relax as you watch the village boats heading out for the day. Located just a short drive from the beautiful beaches of Hatteras Island and the Hatteras-Ocracoke ferry docks, it's the perfect spot to enjoy a day on the boat or a day in the sand.